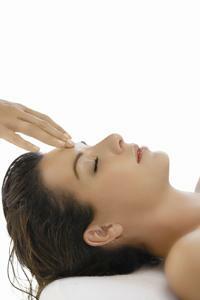 Rejuvenate your skin while you relax your body, mind and spirit. Target your most pressing skin concerns and improve the health of your skin with a professional dermo-corrective peel and facial treatment. Through your Face Mapping zone-by-zone skin analysis, we’ll create a treatment that’s customized to meet your needs for healthier skin. All facials include professional double cleansing, skin exfoliation, extractions,treatment serums, masque and hydration. Achieve visible results, your skin will feel and look rejuvenated, refreshed and renewed. A home care routine and facial treatment plan are provided and reccommended to optimize your skin's health between facial visits. Mineral makeup application/demonstration is available. A professional deep exfoliating treatment offering the full benefits of alpha and beta hydroxy acids to exfoliate dead cells, renew the epidermis , stimulate cell regeneration and clarify the complexion. The results are a decrease in the depth of wrinkles, fine lines and blemishes. It transforms the appearance of the skin leaving it smooth and even toned. A revolutionary oxygenating acne treatment designed to clear skin congestion, detoxify and prevent future breakouts. Formulated with 2% salicylic acid, 15% glycolic & lactic acids and a unique oxygen complex, it helps to control acne and purifies the skin. Turn back time with this powerful antioxidant treatment incorporating a Vitamin C concentration, algae biomartix patches and a thermal organic mud mask. Reduces the appearance of lines and wrinkles, evens out pigmentation and illuminates the skin, restoring its youthful glow. A soothing seaweed cooling mask that provides instant radiance. Your skin will feel refreshed and renewed. It balances the skin while hydrating, decongesting, brightening and minimizing redness. Skin feels refreshed and renewed. Botox like effect without the injections. This innovative, clinically proven treatment combines five peptides with retinol. It relaxes facial muscles, naturally smoothing expression lines and wrinkles. The “Wrinkle Eraser”, a sophisticated anti-aging treatment. Collagen provides outstanding results in skin regeneration, hydration, wrinkle smoothing and prevention. It rejuvenates, tightens and reconfigures the skin’s surface reducing visible signs of aging. A powerful moisturizer and lifter formulated with hightly effective ingredients to exfoliate, deeply hydrate, restore, lift and firm the skin for instant radiance, hydration and enhanced skin tone. Suffering from the signs of hyperpigmentation? Our brightening treatment will help stop uneven pigmentation at it’s source, helping to balance your complexion for a brighter, more even appearance. Combined vitamin and hydroxy acid exfoliation smoothes and brightens your skin. Skin will be noticeably firmer, smoother and revived. Breakouts have finally met their match! We’ll focus on deep-cleansing, purification, extractions, pore refining mask and oil control hydration to target current breakouts while helping to prevent future activity. Is your skin looking red and inflamed or feeling itchy? Settle in for our gentle, soothing treatment that instantly calms redness and reduces inflammation. Based on the wisdom of ancient Chinese herbs. This skin brightening and wrinkle reducing facial relaxes the muscles in the face and tones the skin using acupressure face lift techniques and guasha for skin lifting. Includes pure pearl powder to exfoliate, a skin rejuvenating mask and revitalizing eye treatment. Instantly hydrating, firming, lifting and toning, diminishing the appearance of fine lines while brightening skin tone leaving the skin radiant and supple. A customized treatment that targets men’s skincare needs. Includes deep cleansing, exfoliation, extractions, treatment serums and a mask to rebalance and heal the skin. Addresses the special needs of pre-teens, teens and young adults. Skin will feel healthier and balanced with a fresh appearance.